The whirlwind of the 2010/2011 political season appear raged, aged and un-caged for the PDP in Anambra State. It lends its striking resemblance to the shenanigans characterizing the electoral exercise of 2003 within the PDP. And it threatens to eclipse the reality of the ordinary Anambra resident. Ukpakareports.com investigation confirms Chris Uba has recoiled to his old antics and ways. This is in his quest to return to the acclaimed godfather. Our investigation gathered he took his men and women in Anambra PDP ward and Local Government Area Chairman to swear an Oath of loyalty at a popularly known Shrine in Anambra south senatorial district. The purpose of the Oath, as a source close to Chris Uba notes, was to ensure that the PDP ward and LGA chairmen deliver on the delegates required. Chris Uba, whose political currency began an uncharacterised rebound in the period leading up the botched congresses of the PDP, cleverly saw to the reweaving of a solid party structure fractured badly in the tussle with Andy Uba. Cleverly enough, he managed to successfully reconsolidate power. And, he sadly made mistakes of gravitas and consequences. . The mistakes began right around his secret visit to Chukwuma Soludo in his hometown at Isuofia in Aguata Local Government Area to seek support. The visit, which occurred before the noise decibel of Chukwuma Soludo joining the race rose to high pitch, saw Chris Uba persuading Soludo to join the PDP aspirant contest. Sources claim Chris Uba offered to serve as the Party leader while Soludo serve as the Governor [of which details of such relationship will be worked out later]. On face value, the meeting, according to sources close to Soludo, was pleasant and brotherly but failed to yield the expected results in the eyes of Chris Uba. It is not clear Soludo expressed of his reservations aligning with him. But it was clear Chris Uba did not achieve his aim. Chris Uba felt disappointed and threatened. Following the disappointment, determined to drag PDP into the bile of gangsterism and/or godfatherism, Chris Uba launched a grand but underground campaign to commandeer control of the party. He found his actions necessary principally of his interpretation that Soludo's rejection threatened his position as the head of the party in the State. The first moves by the ex-godfather in defence of his position, led to his planting the seeds that soiled PDP congresses. He began via summoning the PDP LGA Chairman to gather up their local Ward Chairmen. Loyalty was the issue on the agenda. A meeting was convened with all invited parties in full attendance. It was at this meeting held at his home in Udoka Estates, Awka in mid-July 2009 that Chris Uba raised the need for an oath of loyalty to be taken at a Shrine. This was to assure delegates are cleared as mandated by the godfather. First, he mandated the oath only be taken by the LGA chairmen. It was later extended to the majority of PDP Ward chairmen. The convincing of the chairmen, according to sources, took little effort. Only 2 out the 21 PDP LGA chairmen called it quits and sought not to partake in the oath taking at the Shrine. The same 2 LGA Chairmen puzzlingly represent localities within the Anambra south Senatorial District where Chris Uba is homed. It is evident Chris Uba's oath delivered on loyalty, but failed on goals. The night before the delegate count, backdoor arraignments to concretize prior agreements between Chris Uba and Governor of Benue State, Mr. Suswan were revisited and “ironed” out. Of which, sources close to Gov. Suswan hints [unconfirmed] intimidation and/or fear at Governor's suite inside the Barnhill Resort hotel in Awka may have played a role in Suswan's certification of Chris Uba's delegate results. Then the injunction halting all activities came - by way of an aggrieved delegate by the name Probity Adibe. He had prior knowledge of the oath of loyalty - and saw it unfolding, acted to throw into gear the death of the Chris Uba's PDP congress, and possibly political legacy. It also led to the chief convenors of the PDP primaries to see their homework need to be done. And thus found themselves forced to make a necessary turn away from Chris Uba and his team of loyalists. Not to be deterred, Chris Uba retreated to re-launch a refined campaign against perceived threat to his reign. A coalition of aspirants against Soludo PDP candidacy was set up. 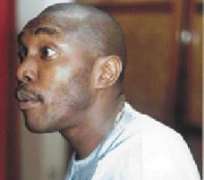 Aspirant Nwofor was made the leader of the coalition. Aspirant Nwofor is a known career aspirant. Aspirant Nwofor on the afternoon of Thursday October 16, 2009, acting at his capacity as the leader of the coalition made the announcement that a court in Awka has granted an Exparte Order barring Soludo from parading as the PDP gubernatorial candidate. This, Ukpakareports.com investigated and found untrue. No orders were granted.